‘Each note in a composition should be polished until it is as perfect as a jewel…those wonderful scintillating, ever-changing orbs of light. In a really great masterpiece each note has its place just as the stars, the jewels of heaven, have their places in their constellations. When a star moves it moves in an orbit that was created by nature. “Chopin comes before us, then, as a man of extremely complex make-up, and there is no easy solution to the problems which his personality and the music through which it was expressed present to his modern interpreter. One can only approach him by sweeping aside the clutter of trivial romantic legend which has accumulated around his name and his works. When all the sentimentality, pathos, patriotic fairy-takes and garbled ‘memories’ have been cleared away he appears in simple dignity as Thomas Carlyle saw him in 1848-a great artist and ‘a noble and much suffering human being’. He was more than any other musician of his period the ‘artist’ in that word’s most absolute sense. His mind was never diverted from its single, absorbing preoccupation by any chasing after will-o’-the wisps in the field of literature, the visual arts, politics, social questions or abstract theorizing. To some it will seem a weakness that he should have lived in a world of upheaval and rapid change without ever allowing himself to be ‘committed ‘or ‘engaged’, as our modern jargon puts it. Yet it was therein that his strength lay. Are Pianists the Super-Athletes of the World? Practicing is both an art and a science. Every student of piano performance must remember that their achievement on the instrument will be the direct result of the amount of time and the quality of their practicing. The art and science of practicing is not just time spent at the instrument but time spent listening to the music the student is working on, studying and understanding the harmonic analysis of the music as well as researching the time period and technical characteristics of the composer of the piece you are working on. In addition to this, it is advisable for the student to prepare a weekly plan outlining the time spent on specific techniques, repertoire, sight-reading and review of old or previously learned repertoire. 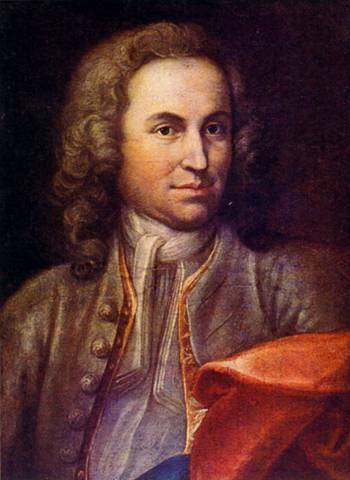 The purpose of technique is to serve the pianist’s imagination and realize his/her interpretive ideas on the instrument. 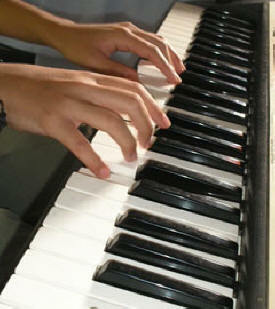 The pianist should be able to have complete control of their fingers. In order to achieve this we have to train them so they will do whatever we want them to do to serve the pianists imagination. Technique and interpretation are interwoven. Just as technique and interpretation are interwoven, reading musical scores and listening to music are equally important and interwoven. The art of listening to one’s own playing can be acquired first by listening to other pianists. 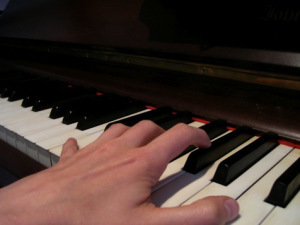 Piano students need to learn to listen to other performances on a deeper level, following musical ideas and subtle nuances which the student may or may not incorporate in their own performances. Just as technique and interpretation are interwoven and listening and reading are interwoven, understanding music scientifically or music theory and memorization are deeply interwoven. The human mind can best retain things it understands, things that ‘make sense’. If we understand something musically, understand the musical structure of the piece the student is well on the way to memorizing and a solid performance. With this being accomplished the pianist is then able to use their technique to serve their imagination and deliver an inspired performance.